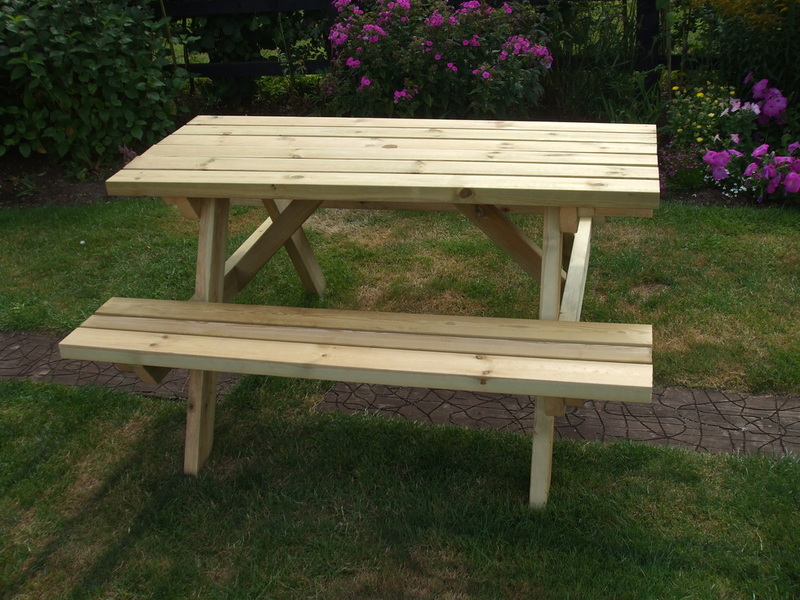 Our tables are built using high grade treated fsc (http://www.fsc-uk.org/about-fsc.2.htm) timbers. All are 47mm thick (2 inch) and all our tables are fixed with screws, no nails allowed. So the tables are very strong. Available in three sizes, 180cm, 150cm and 120cm Long. They are 76cm high to table top with an overall width of 138cm including seats. The seats are 41cm high and 28 cm wide (same length as the table). 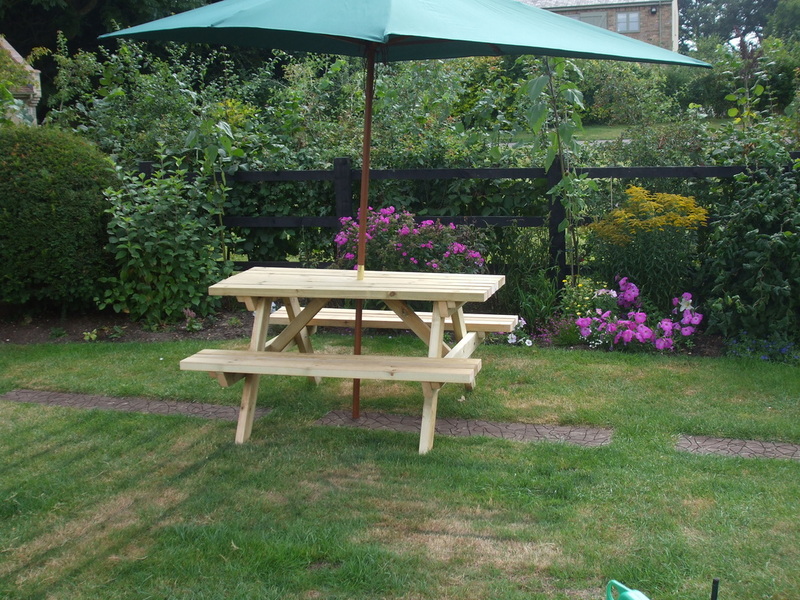 The table top is 62cm wide and includes a parasol hole. Our design is slightly different to the norm, with the legs set in slightly. By doing this the table is much better suited to seating 6 people more comfortably. The table will be delivered flat pack and comes with instructions. They are very easy to put together and include fixings. As with all our products, these tables are very heavy duty and will give many years good service. If you have any questions please contact us on 07815 738775. Please leave a message if no answer (very noisy in the workshop).